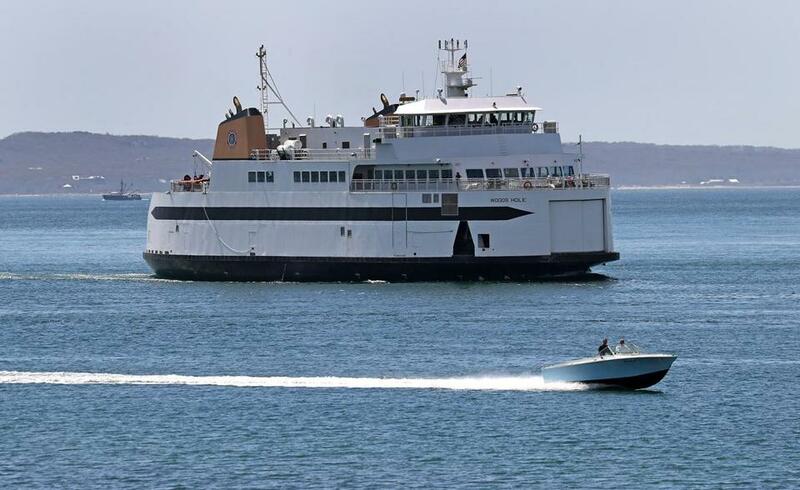 Mechanical problems with a Martha’s Vineyard ferry have forced about 550 trip cancellations this year, the Steamship Authority said. Mechanical problems forced the Steamship Authority to cancel about 550 ferry trips between Martha’s Vineyard and Falmouth in the first four months of this year, an unprecedented total about 15 times the yearly average and one that has officials scrambling as the summer travel season approaches. The cancellation figures are detailed in a report the quasi-public agency completed as it faces sharp criticism from state lawmakers and island residents over a series of major boat breakdowns in recent weeks, including one vessel that was commissioned only two years ago and another that recently underwent a $17 million refurbishment. The internal review, completed Monday and first reported by the Vineyard Gazette, acknowledged that the onslaught of disruptions, coupled with complaints about poor communication and customer service, have eroded public confidence in the agency. Meanwhile, general manager Robert B. Davis chalked up the breakdowns to a series of unrelated mechanical failures on multiple boats, from busted propeller parts to loose wires to failed electrical breakers. 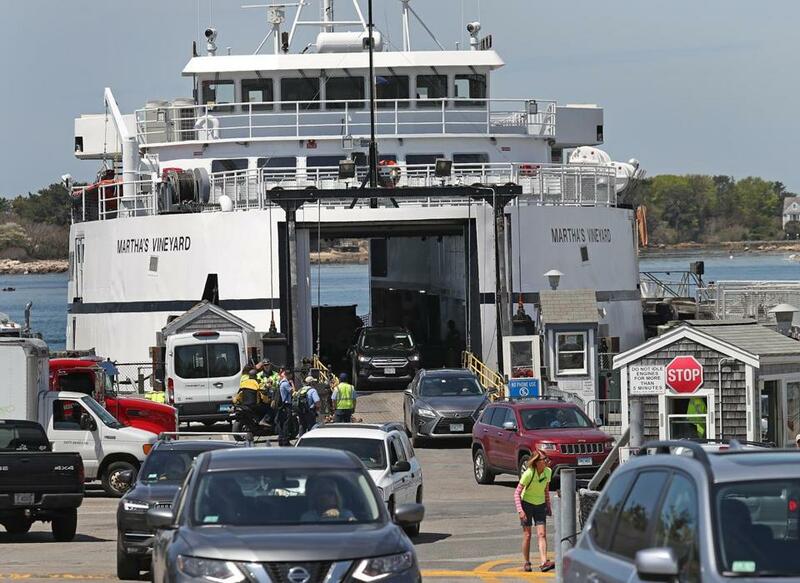 Through the end of April, 549 trips between Woods Hole in Falmouth and Vineyard Haven on Martha’s Vineyard were canceled because of mechanical issues. That includes some high-profile failures, such as on March 17 when one ferry lost power, stranding 72 passengers off the island for five hours. Not included in the tally are a few hundred cancellations that were blamed on weather. Many of the mechanical problems occurred in March and April, the report notes. They have persisted in May, with the latest breakdown coming last Saturday. By comparison, just 26 trips were canceled for mechanical reasons along that route all of last year. In 2016, there were only 22 such cancellations and in 2015, there were 79. In 2014, there were just 21. Passengers headed to Martha’s Vineyard. The Steamship Authority was established by state lawmakers in 1960 to run ferry service to Martha’s Vineyard and Nantucket. Its boats are best known as a way to get to the islands during the economically all-important summer season that stretches roughly from Memorial Day through Labor Day. But for the 27,000 people who call Martha’s Vineyard or Nantucket home, the agency’s service is “a lifeline” year round, said Hanover, 65, who has lived on the Vineyard for 43 years. Islanders rely on Steamship vessels to get to the mainland for jobs, appointments, and other necessities. Though there are other passenger ferries run by separate companies, the Steamship boats carry vehicles and critical supplies such as food and fuel to the island. “Everything we have here comes on the boats,” Hanover said. In recent weeks, the outrage from residents has grown as the breakdowns have piled up with no real explanation. A Facebook group “Save Our Steamship Authority” was formed to “demand reform, transparency, and accountability” from the agency. As of Friday, the group had close to 700 members. “Everyone on this island is spooked like they haven't been before,” said Blau. Josh Goldstein, 39, who helps run the 48-room Mansion House hotel in Vineyard Haven with his family, said the poor ferry service this year has cut into revenue. Fewer people on the island means fewer diners in restaurants and shoppers in stores. “It’s a waterfall effect,” he said. “The Steamship Authority’s failure to solve problems with maintenance and operations, as well as its lack of transparent communication, has become a significant and ongoing concern,” they wrote. Steamship Authority ferry from Woods Hole to Marth’s Vineyard. In its report, the agency said it believes it can prevent future failures by making improvements that include hiring an outside consultant to review vessel maintenance practices, requiring staff to record more specific reasons for cancellations and delays, and bolstering efforts to communicate with the public in a timely manner. But even as the new report offers possible solutions, there’s disagreement among board members about how to turn things around. Hanover said he doesn’t believe the improvement plan laid out in the agency’s report goes far enough. Hanover said it’s time for the agency to bring in outside help to fix the problems and has proposed hiring consultant McKinsey & Co. at a cost of about $500,000. But when Hanover presented the idea at the board’s most recent meeting, on April 23, he said other members overruled it, citing concerns about the cost and a preference to keep any review in-house. That decision led to the report the agency completed this week. Meanwhile, board vice chairman Robert R. Jones, of Hyannis, called the series of breakdowns “an unprecedented nightmare,” but said he is confident management is taking appropriate steps and questioned the need for — and the cost of — bringing in the McKinsey consultants. Other board members could not be reached. Davis and Jones both said they attribute the timing of the problems to be, essentially, bad luck. But Hanover said he doubted it is a coincidence that one line has had so much misfortune. Many of the problems have struck a ferry called the Martha’s Vineyard, which underwent a five-month, $17 million overhaul that involved installing a third backup generator, rebuilding passenger and crew areas, and constructing a new pilothouse, among other upgrades. That work was finished and the boat was put back into service in early March, just before the wave of breakdowns began. Hanover said his main fear is that other board members have not fully grasped how serious the problems are because they don’t live on Martha’s Vineyard and aren’t seeing the problems firsthand. Rocheleau can be reached at matthew.rocheleau@globe.com. Follow him on Twitter @mrochele.